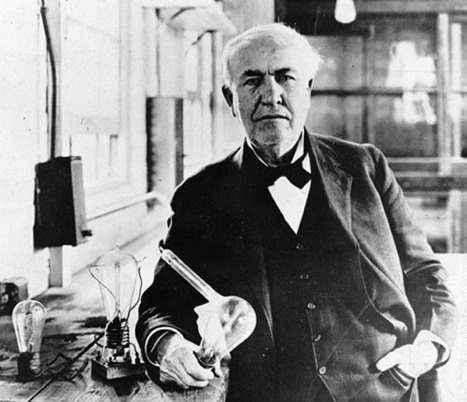 Thomas Edison notoriously failed to create a light bulb 1,000 different ways before he stumbled upon the right combination of elements. The Chicago Cubs haven’t won a World Series pennant since 1908. Lemurs have a three-week mating season each year and have more males than females, leaving many male lemurs dateless for years. But these failure rates are nothing compared to the failure rates of startups—75% of these ventures fail to pay back their investors. Worse yet are tech startups, which post a 90% failure rate, as Allmand Law recently highlighted in an enlightening (and frightening) infographic. How can tech-savvy business owners avoid this fate? I know a serial entrepreneur whose life is a perpetual rollercoaster ride—he’s either driving a Ferrari out of his Beverly Hills home or driving a school bus to make ends meet. Once he gets a whiff of an idea that seems to have merit, he’ll jump in without a second thought. While this occasionally pays off, it more often doesn’t. Jumping in bed with any venture that comes along has consequences. Many ideas sound great on the surface, but to truly understand whether there’s any validity to an idea, digging is required. Tech entrepreneurs must have data on their sides: market size, cost of production, marketing expenses, ROI, timing of market entry, competition, and legalities are just a few areas to account for ahead of time. But far too many tech-minded entrepreneurs are enamored with the idea of the technology they hope to create, and fail to plan to build a business. Avoid the hole of limited cash: “Limited cash” automatically translates to “little or no marketing budget.” Startups tend to scrimp on advertising first and foremost. Building an awesome product is great, but it’s useless when consumers never hear about it. Creating a stellar product isn’t the finish line: getting customers is. Have the drive to continue on: Entrepreneurship demands confidence. Investors often consider a company’s management as much as its product or service. The people will make a venture successful. When the going gets tough, you need to be confident that tomorrow, under your own power, will be a better day. Build a talented team: Like I said, the people make the company. Talented people are a dime a dozen in most areas, even technology. What you need are doers who can use their skills to execute on your vision. The clock is running against your startup, and performance is essential. While these planning failures can doom any entrepreneur, there are two silver bullets that can tear through the heart of any tech startup: financial bleeding and slow evolution. Tech startups are usually cheaper to launch and seemingly have fewer risks. However, many entrepreneurs fail to realize that their ventures still require cash flow to staunch their wounds. Each must start with a realistic financial plan—what will it take to get from Point A to Point B? What about from Point B to Point C? How much will that cost? Where’s the money coming from? It’s not uncommon to assume that investors or sales will take care of the influx of money, but that’s also why failure isn’t uncommon. Every entrepreneur must know upfront how viable the business truly is. Tech companies can’t afford to sit around and get comfortable; they must constantly be pushing boundaries. BlackBerry, for example, had it made—until the company rested on its laurels and its product line languished. They failed to create a diversified strategy and put all their eggs in one basket. They quickly fell behind their peers, especially where apps were concerned. And where did technology go? Toward apps, and BlackBerry is now fighting for survival. Stay ahead of the times: My ebook company knew it couldn’t compete with big publishers on their terms, so we tried to stay ahead of them. We entered the eBook market before Amazon; we’re now expanding into foreign-language markets before others. We’re focused on creating books, while they’re distributing books. We’re setting our place at the table now for the day these markets are thriving. Have a concrete vision: Every team needs a realistic, achievable set of short- and medium-range goals. Wanting to build the next Google is great, but your team (and your investors) need to see you meet milestones on the way there to stay focused. You must prove your dedication, too; don’t hold a second job or work on another startup, or you’ll write the company’s obituary yourself. Get support: Get some champions on your side that others listen to. Bring in entrepreneurs who know what to do and expect along the way. Get investors if you can’t guarantee you’ll earn money and not just “users.” These are all people who can help you avoid landmines. Ditch dead weight quickly: If you have a cumbersome element in your midst—an underperforming employee, a product, or an aspect of the business itself—cut it out. You can’t have anything slowing you down. A 10% chance of success may seem slim, but the odds are on your side if you plan carefully. And remember, things could always be worse: you could be a lemur hard-up for a date. Or a Cubs fan.